‘Now watch this,’ said Shankara and took a pair of scissors from his bag and cut the rope. 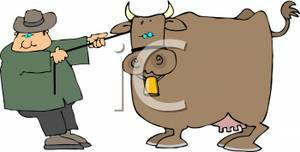 The cow ran away from the master and the man started running after his cow, ‘Look, what is happening now,’ said he, ‘Do you see who the Master is? The cow is not at all interested in this man. The cow in fact, is trying to escape from this man. Feeling Free and Relaxed is a Choice why not take that Choice and enjoy the beautiful life that is given to us in all her blossoms. An Empty Mind is a Blissful State. Deep meaning in this. Thanks for sharing. Welcome Yagnesh and yes such an inspiring story. I agree with my dad, v meanningful post. Thanks for sharing! Welcome Kunal and yes I too agree totally with this story. So true and powerful words spoken. of what can happen to our minds and hearts. I agree, let us walk free from dark and inhibiting emotions and just live. Yes absolutely let us all agree to walk freely from the darkness into the light, Miriam. The cow was a great example of how we carry our nonsense over our shoulders for years. Thank you for sharing this very meaningful story Kamal. Welcome dear Smitha and these stories are eye openers in themselves and speak the truth. Welcome dear Krishnapriya always and this story had everything in it. Emptying our minds from all these negative thoughts is so beautiful and to live a life of happiness and joy. Thanks dear Krishnapriya. Adi Shankar was a great master of his times and gave this insightful story that is so helpful to us. Thanks dear Indira. A great lesson taught by Adi Shankar. 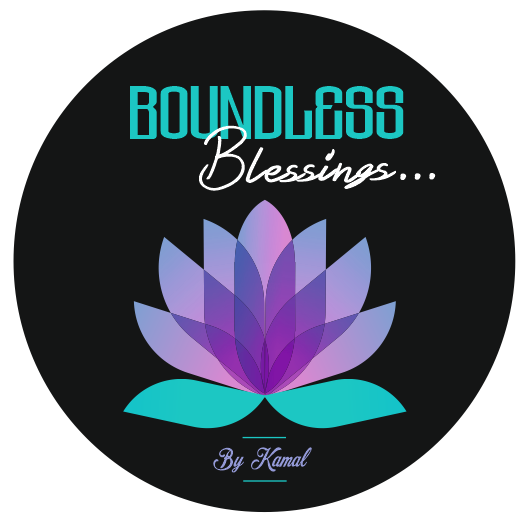 Thank you for sharing Kamal. Thanks so much and I totally agree with your words. This story was an eye opener. Clever story and analogy Kamal. I hope to cut the rope and let my mind be. Yes and I too agree totally with your words, Brad. We need to cut our ropes of our mind and its negative thoughts in order to lead simple and happy lives. Thanks so much. Thanks dear Tanvir for your great comments. Adi Shankar a great master of his times has told such a beautiful story of how we need to empty our minds of all negativity and lead simple and happy lives. Yes absolutely true and agree totally Tanvir why lead a life of egoism and their thoughts instead living a life of happiness and joy. Yes absolutely true Karen and how our mind puts us on a leash and all the illusions we create. Thanks for your feedback. A great lesson to live by! Thank you dear Kamal! Welcome dear Amira and yes master of his times Adi Shankar explained this concept so well with how we keep on carrying our minds on a tight rope. Thanks so much for your kind gesture. Love and Light . Oh absolutely Kate and that are the words of a master Adi Shankar who knew how we need to empty our minds of all this chaos and lead a life of simplicity. Thanks dear so much. totally agrees with my personal philosophy, have scheduled it in about three hours, thanks heaps! Oh welcome dear always and thanks for your kind gesture. Welcome dear Kate. Have a great day. Thanks Miriam for your kind words and yes so important to understand this profound story that gives us so much to learn from it. Keep away from negative thoughts and live a simple yet happy life. This is really insightful and enlightening. Thanks Muntazir for your kind words. These stories are eye openers and tell the truth. Piękna przypowieść i ważny morał dający wiele przemyśleń. Excellent use of metaphor Kamal. Thank you for sharing this memorable story! Thanks for the beautiful comment and yes so true and agree totally with your words. This story is an eye opener. Truly a thought-provoking story! Thank you for sharing. Welcome Megala so much. Awesome and inspiring story of how to empty our minds and be happy and cheerful. I agree feeling free is a choice we need to take often. Wonderfully done. Yes absolutely true Moushmi and we really have to get away from our negative thoughts. Thanks so much. so true! Thank you for the story. Nice story. A lesson in life. Thanks Bev. Yes so true. Sweet and enriching story. Happy New Year! Thank you so much dear Romilia and this story is so important for all of us it teaches us how to live our lives free from negativity. Have a great day. A great day to you, Kamal. Negativity deprives us of our full potential. Yes absolutely true and same to you too. I love little anecdotes like this. They are usually as this one is. Simple, meaningful, and beautiful. Thank you for sharing this with us. I know I needed to read it. Welcome and thank you so much for your beautiful feedback Sirena. Yes I totally agree with your words these stories are eye openers and tell us the truth and how we need to live in our lives. Yes absolutely true and I am sure it is so peaceful to be absorbed in them cause they do not talk but are so quiet and peaceful. Thanks so much Alex for your great feedback. Deep and profound wisdom Kamal. Your posts are such an inspiration and teach to live life in a better way! Thank you so much my dear friend, Meenakshi for your encouragement always. For me also these stories are so potent, they teach how we need not fall but lead a life in the moment. Oh so happy to know that dear Meenakshi. Have a wonderful day. You have shared a good and helpful thought here, Kamal. Yes absolutely true and agree totally with your words sometimes these stories catch you at the right time and then one can learn how to let go and empty your mind from all this so called hatred and learn forgiveness. What had to happen has happened nothing happens if it is not meant for you. Have trust in God. Thanks so much for your feedback. Lovely story, just liked it! Thank you Anitha for your feedback. A nice and simple story with great takeaways. Thank you for sharing Kamal. Welcome so much and these stories are so inspiring. Previous Previous post: Freshness of a New Year……. Next Next post: Children are so Innocent…….